Must-read blog for planning your Route 66 trip, tailored to travellers from outside the USA. Route 66 tips, American travel ideas and Americana inspiration. The Illinois Route 66 Regent Street Motor Show returned to the UK’s capital this November, attracting more than 500,000 visitors. With the event’s website promising a whole of host Americana, I made sure I was one of them. But is it worth you doing the same next year? My review might help you decide. Desperate to travel Route 66? Get help & info at Brits on Route 66 - USA travel & lifestyle blog from a British perspective based on the book by Vicki Graves. Author, blogger and Route 66 super fan! I don’t let living in England stop me. Welcome to my blog, where you’ll find essential tips and advice on planning your own Route 66 road trip along the world’s most famous highway, from my uniquely British perspective. I offer you USA travel and lifestyle inspiration, recommendations for Americana events and attractions in the UK and plenty of ogle-worthy retro, kitsch and vintage. 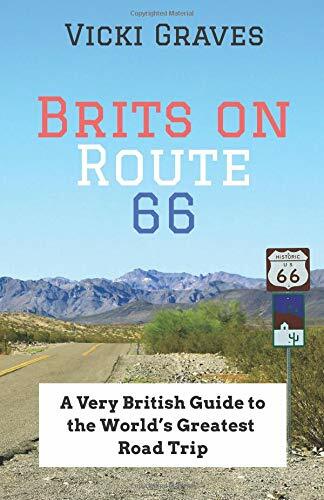 And it’s all written especially for those who live outside the USA – my Brits, Europeans and travellers across the globe who long to be on Route 66. Thanks for the RTs @JasonJjweb @GridArt - happy Easter! © Victoria Graves 2018 - content must not be reproduced without permission. Victoria Graves, trading as Stage 25 Publishing.